Tesla CEO Elon Musk just sent out a mysterious tweet announcing that the EV maker plans to unveil something new on October 9. 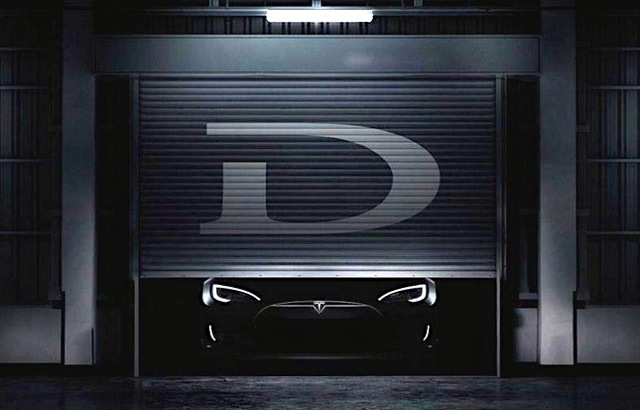 His tweet, “about time to unveil the D and something else” has set off waves of speculation – could Tesla be unveiling a brand new model, or is it something less dramatic like new technology for its existing vehicles? Along with the tweet, Elon Musk posted a dark photo of a garage with a car’s headlights illuminated. Tesla has already announced the upcoming introduction of its new cheaper sedan, the Model III, so it’s not known if the ‘D’ he is referring to will actually be a new model. Other speculation suggests that Musk may be hinting at the introduction of new ‘Driver Assistance’ technologies, like Speed Assist and Lane Departure Warning systems. Related: Stephen Colbert Interviews Elon Musk! There’s also the possibility that Tesla may be ready to unveil a new smaller SUV than the upcoming Model X. For now, all we can do is stay tuned until October 9 when Elon Musk reveals the ‘D’. 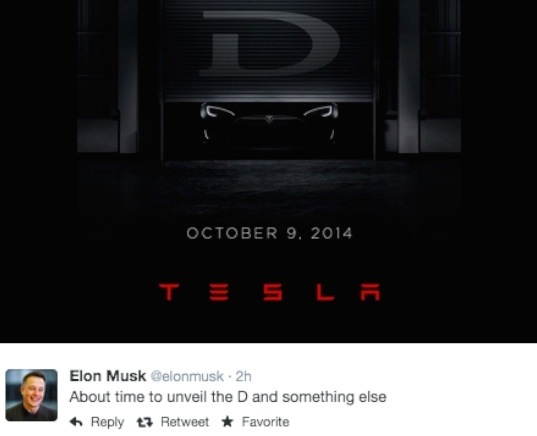 Tesla CEO Elon Musk recently sent out a tweet, 'about time to unveil the D and something else' that announced that Tesla is planning a debut on Oct 9.